There are majorly two types of Key Value pair DBs, 1. Persisted 2. Non-persisted (cache based). This is a very popular type of NoSQL database e.g. 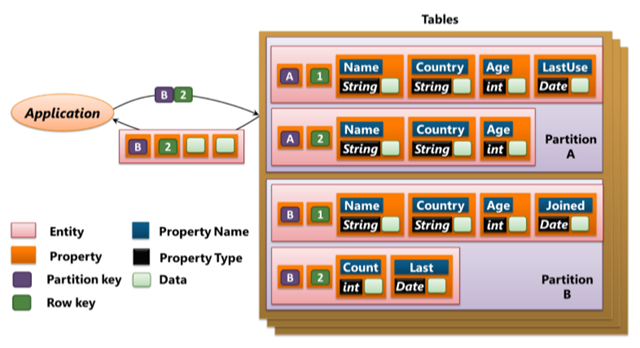 Persisted –> Azure tables, Amazon Dynamo, CouchBase etc. The data is accessed based on the key and the value can be JSON or XML or image or any thing which fits in blob storage i.e. the value is stored in the form of blobs. Like other NoSQL DBs ,they are not schema bound. For the ecommerce websites, if we want to store the information about a customer shopping. We can have Key as customer id and value as all the shopping information. Since they have all the required data stored in a single unit in the form of a value, it can be scaled really efficiently. Another use case for Key value store is , storing session information e.g. a game where millions of users are active online, their profile information can be stored in key value pair. These databases can handle massive scale easily and it can also provide redundancy to avoid loss of data. Moreover, there are many applications which are used to just store information in the form of images , can leverage this key value pair database easily.